This is the final part of the article where we will examine trade secrets. We will also distinguish trademarks, patents and trade secrets. The Black’s Law Dictionary defines trade secrets as “A formula, process, device, or other business information that is kept confidential to maintain an advantage over competitors; information — including a formula, pattern, compilation, program, device, method, technique, or process”. Thus, any confidential business information which provides an enterprise a competitive edge may be considered a trade secret. As I referenced in the second part of this article, not all “inventions” can be protected as patents. As a result of this, scientific theories, food recipes, mathematical methods and commercial methods cannot be patented. You can read more on the part two of this series here. Part one of the article can also be read here as well. However, certain “inventions” which are valuable can still be protected as trade secrets. It may be argued that strictly speaking, a trade secret is not an intellectual property right (IPR). However, in practice it has the same legal and commercial relevance as other IPRs and so it is dealt with in the same manner as other IPRs. Article 39 of the Agreement on Trade-Related Aspects of Intellectual Property Rights (TRIPS) provides for the protection of trade secrets. The TRIPS is an international legal agreement binding on all member nations of the World Trade Organisation (WTO). It sets out the minimum standards for the regulation by national governments of IPRS. c) It is the subject of reasonable efforts by the holder to maintain its secrecy. ii) trade secrets for inventions that fulfil the patentability criteria and could therefore be protected by patents. A unique trait of trade secrets is that they are protected without registration or any procedural formalities. Thus, unlike patents and trademarks that are registered for a period of time, a trade secret can be protected for an indefinite period, provided it is not disclosed to the public. Furthermore, unlike the United States of America that has a Uniform Trade Secrets Act, trade secrets in Nigeria and several countries are not protected by statute but are governed by contract, tort and other basic legal principles. Rather than patent his formula, the inventor of the Coca-Cola soda, Mr. John Pemberton, decided to protect his recipe as a trade secret. In 1891, Asa Candler purchased the rights to the formula from Pemberton's estate and founded the Coca-Cola Company. 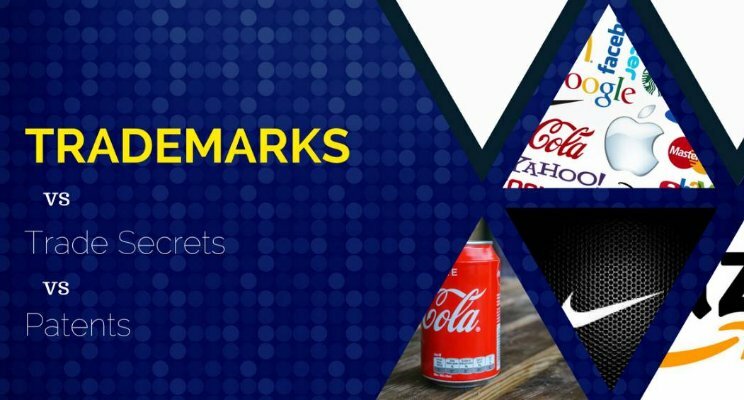 The formula for the Coca-Cola drink has remained a trade secret ever since then. This may be considered as a good business move because if Coca-Cola had patented the formula (which is questionable) it may have been disclosed to the public. However, the danger behind not patenting this valuable formula was seen when it was the subject of corporate espionage as in 2006, an employee stole the recipe and attempted selling it to Pepsi for $1.5 million. Although a fierce rival of Coca-Cola, Pepsi immediately notified the authorities and the employee was arrested and charged. Google has almost become synonymous with the internet as it is the top search engine in the world today. Google's algorithm searches out web pages that contain the keywords used in a search. It then assigns a rank to each page based on several factors. The algorithm used by Google for its search engine remains one of the most valuable trade secrets in the world. Kentucky Fried Chicken (KFC) is reportedly made with a secret recipe of 11 herbs and spices. Legend has it that the founder, Colonel Sanders, memorized the recipe and never disclosed it to anyone when he first started out. Today, the recipe is kept in a closely guarded safe in Kentucky. Only a few employees are aware of the contents and they are bound by a confidentiality agreement. To show the extent to which this recipe is kept as a secret, a company blends the herbs while another company mixes the spices. They are then processed and sent to the different restaurants. KFC with this recipe has become the second largest restaurant in the world (measured after sales) and has a revenue of over $23bn. The McDonald’s Big Mac Special Sauce is so coveted that it was alleged in 2017 that it had been leaked online. The trade secret was so well kept that when it got missing in the 1980s, it was only one of the former CEOs, Mr. Fred Turner, who remembered it when he was re-hired by the company. Due to the fact that trade secrets cannot be subject to public disclosure, owners of trade secrets protect them with legal and technological procedures. If the owner of a trade secret intends to disclose a trade secret to a third party, it is advisable that he executes a confidentiality agreement or a non-disclosure agreement (NDA) with the third parties as this may be the only way he may be able to protect his trade secret and prevent the third parties from using his invention or idea. An NDA is an agreement that creates a confidential relationship between the parties whereby they agree to protect confidential and proprietary information or a trade secret. An NDA can protect any type of information that is not generally known. However, NDAs can also contain clauses that will protect the person receiving the information so that if they lawfully obtained the information through other sources they would not be obligated to keep the information secret. · the definition of what is confidential, i.e. the information to be held confidential. · the exclusions from what must be kept confidential. · the law and jurisdiction governing the parties. a) Executing non-compete agreements with the employees. This agreement will place an obligation on the employees and prevent them from using trade secret even after they have stopped working for the employer. b) Keeping the trade secret in a safe location and granting access to a few individuals. c) Ensuring that the employees are loyal and will not sell the trade secret to competitors. 1) Trade secret has the advantage of not being limited in time. Patents last for 20 years and trademarks last for 7 years although they are subject to renewal. A trade secret may therefore last indefinitely as long as it is not revealed to the public. 2) Trade secrets do not need to be registered and they take immediate effect. Generally, trademarks and patents must be registered before they can enjoy protection. 3) Trademarks and patents are territorial rights and so must be registered in each country where they will be used. A trade secret is not limited by territories and guarantees protection anywhere it is used. 4) A trade secret is more difficult to enforce than a patent or trademark. 5) The moment a trade secret is made public, anyone may have access to it and use it at will. Patents and trademarks do not face the same disadvantage as they ought to be disclosed to the public. 6) A trade secret may be registered as a patent by someone else who has access to similar information. 7) Trademarks protects the mark that is used to identify a product. Patents protect the invention. Trade secrets protect the confidential information. Hanson, by Mark J.; Thompson, Joe R.; Dahlgren, Joel J. "Overview of Confidentiality Agreements". Iowa State University Extension and Outreach.